← Mom’s Dark Chocolate Raspberry Birthday Cake! 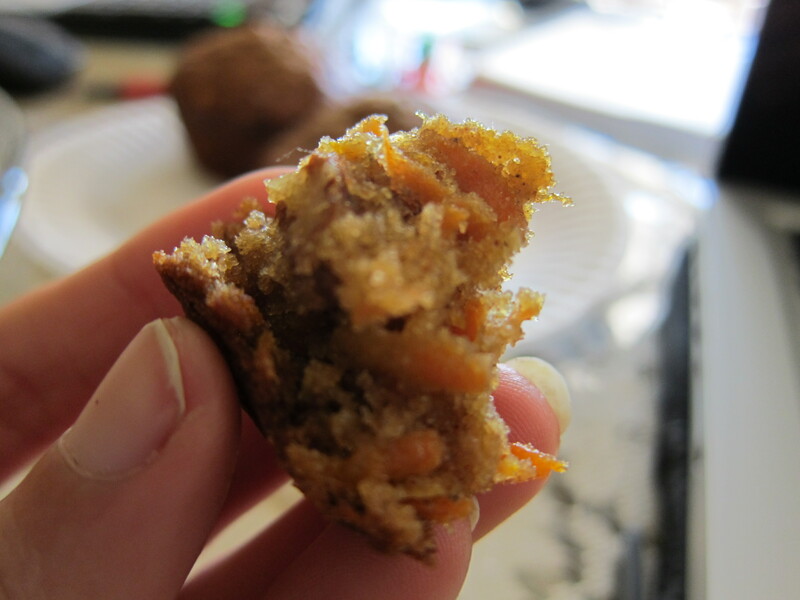 A little bit o’ everything muffin :) Carrots, Orange, Bananas and Walnuts! and my mom wanted to throw them away. And I came to the rescue! 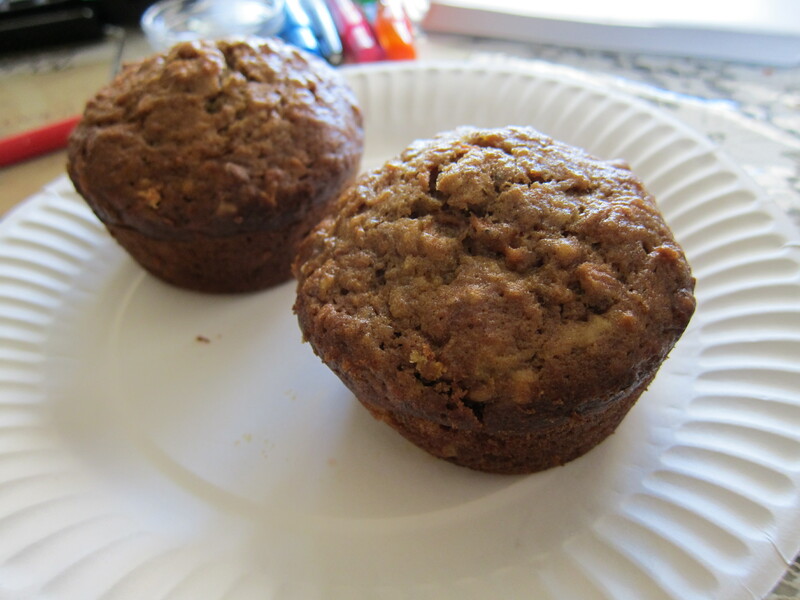 I looked around in our kitchen to see what else I could throw in the yummy muffins I had in mind. 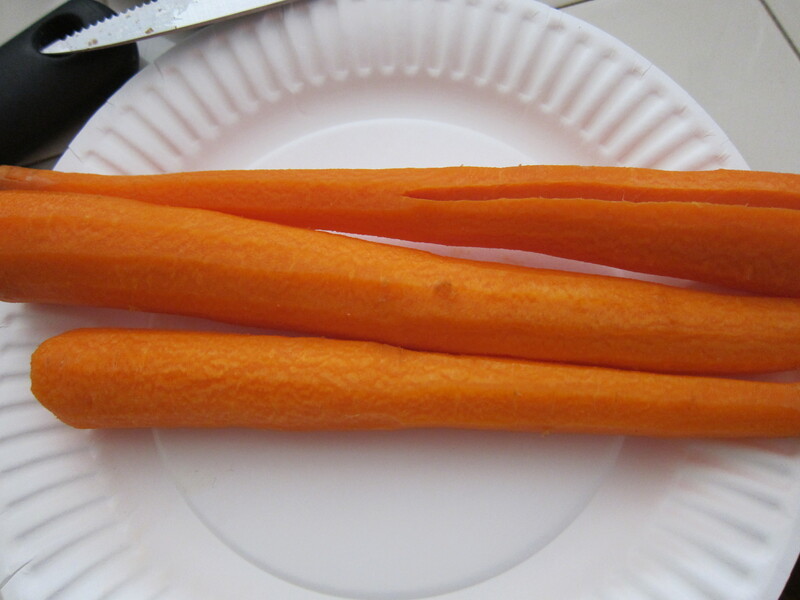 I found: carrots and oranges. Now, let’s preheat our ovens to 375 F. Then, oil and flour your muffin pans. 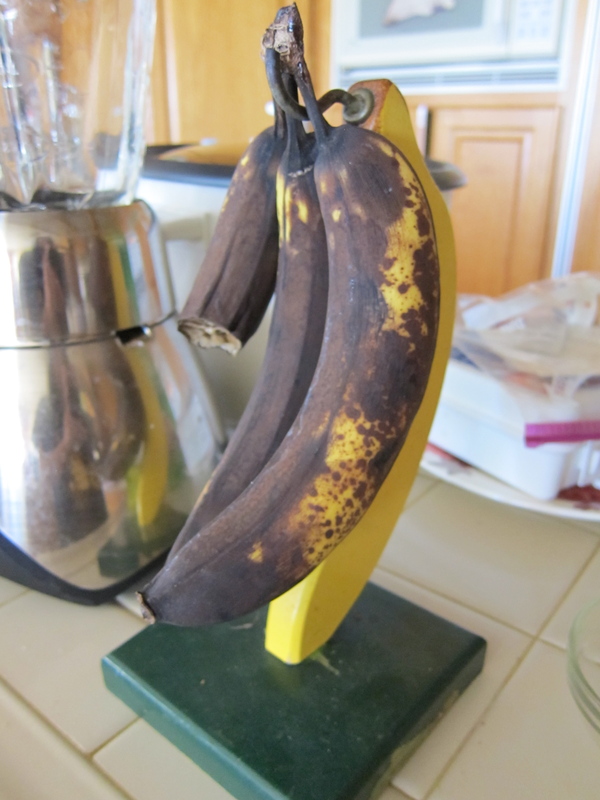 Now, peel your bananas! Now grab your orange and grate the skin off of it. 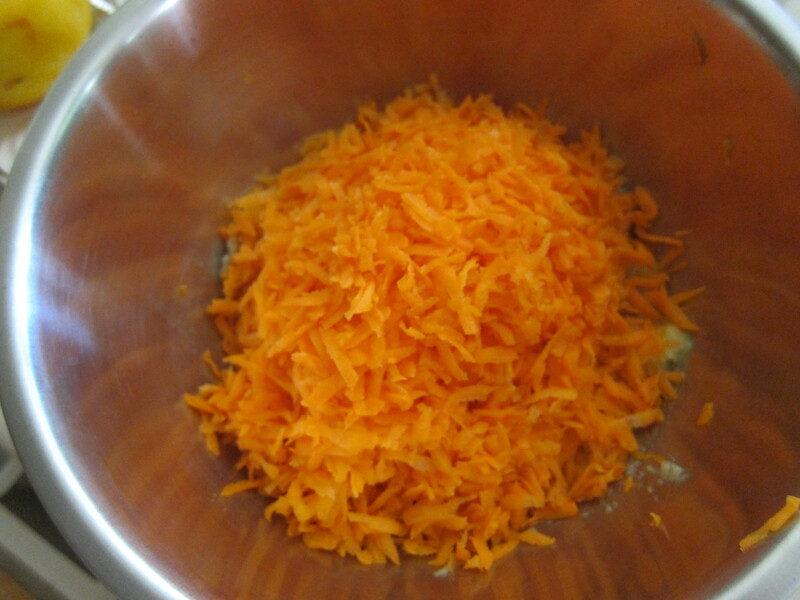 So let’s mix carrots, eggs, orange peel, brown sugar and oil. Sift the dry ingredients and slowly incorporate. Pour into muffin pan and place in oven. Bake for 35 minutes or until a toothpick comes out clean. I must say, they were absolutely delectable and moist! 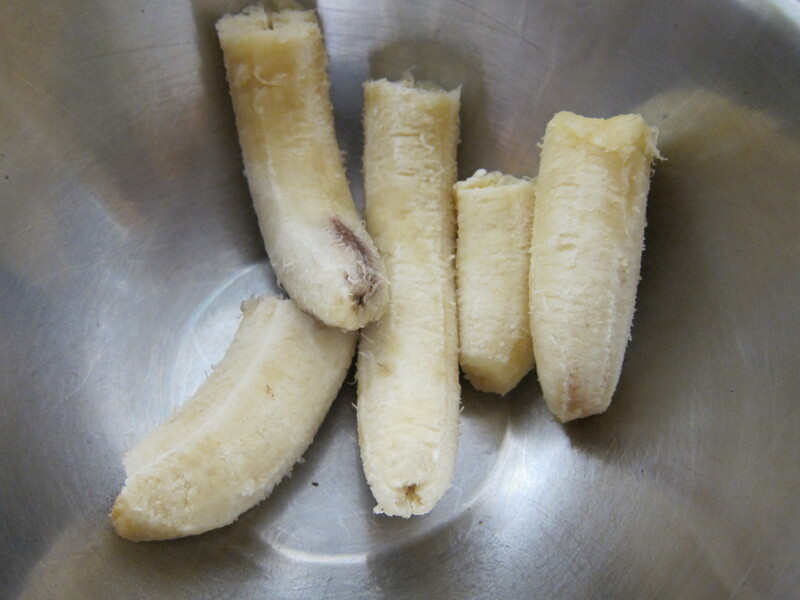 Beat the sugar, oil, and vanilla together in the bowl of an electric mixer fitted with a paddle attachment. Add the eggs, 1 at a time. 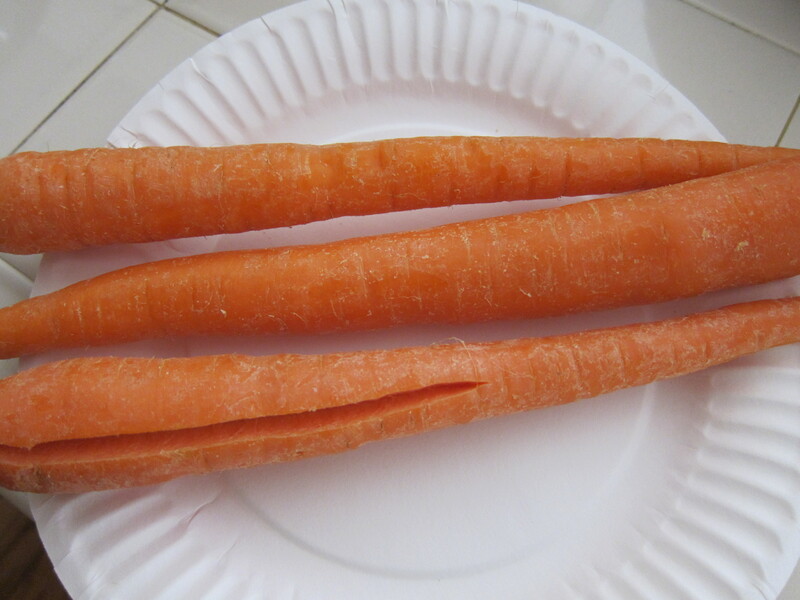 Add carrots, bananas, and prange peel. In another bowl, sift together the dry ingredients. 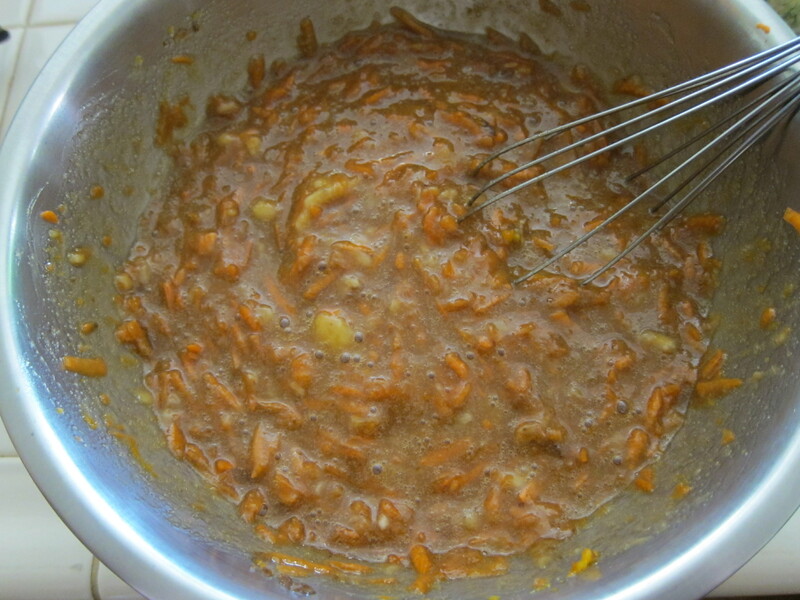 With the mixer on low speed, add 1/2 of the dry ingredients to the wet ingredients. Mix until just combined. Line muffin pans with paper liners. 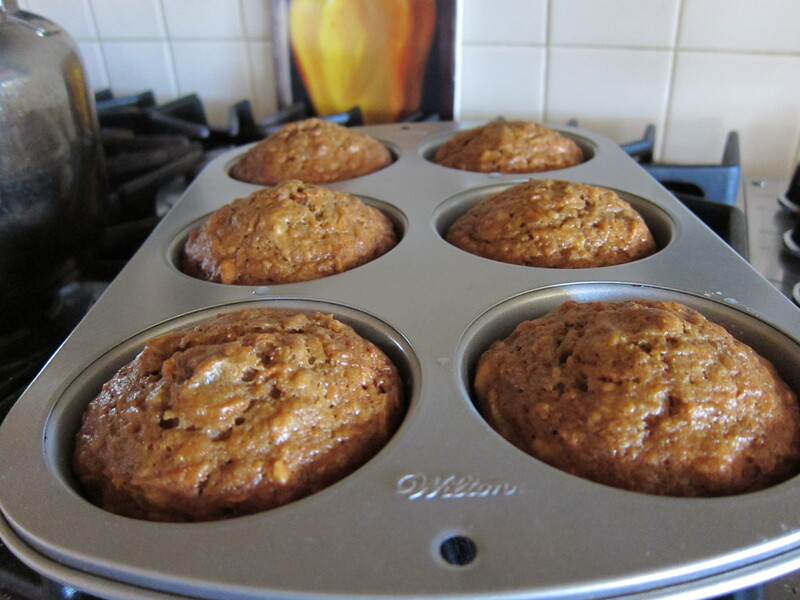 Scoop the batter into prepared muffin pan until each is 3/4 full. Bake at 375 degrees F for 35 minutes, until a toothpick comes out clean. Cool on a rack.